Since May 5, 75,000 public teachers have been on strike because some 3,300 of their number had not received any salary since they returned to class in February 2014. The strike began days prior to the inauguration of the current president amid assurances from then-President Laura Chinchilla that the issue would soon be resolved. In the first week of the huelga it was easy to empathize with the striking educators. How could anyone be expected to work for months without being paid? Teachers are far too often underpaid and underappreciated, and the profession attracts people who are generally willing to do whatever they can to help their students advance. This includes buying supplies – even books for classes – with their own money, something we the public take for granted. In an era when unions have been ever more maligned and disfavored, an overwhelming percentage of Costa Ricans have supported the educators’ actions to strike, not for higher wages, nor for more benefits, but simply to receive what they were already owed. Nothing could be simpler. Nothing except trying to unravel the politics that led to this strike and that keep it from being resolved. The blame for this dilemma rests squarely with former President Chinchilla, former Education Minister Leonardo Garnier, and the former administration of the National Liberation Party. Their new $3.8 million payroll system, Integra2 has taken years to implement and was known by Education Ministry officials to have the very problems that provoked the subsequent strike – problems the previous administration proved unable to solve. In the first days of the strike, Chinchilla promised that all problems with payment would be resolved in the first weeks of the new administration. Obviously, things were more complicated than the former president imagined. One might cynically speculate that she knew this all along. 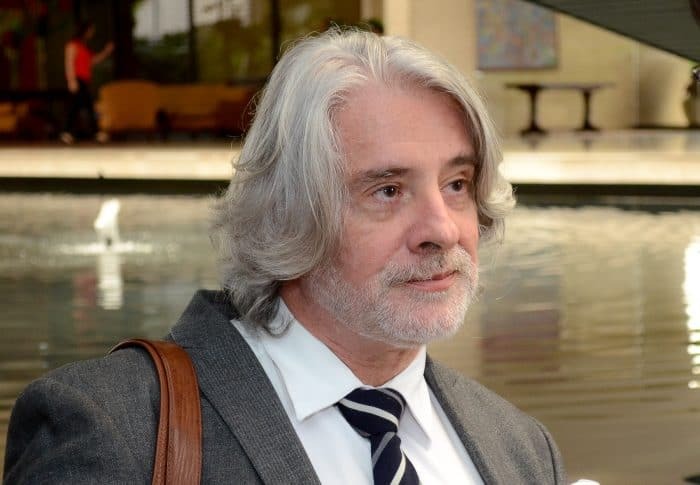 Ex-minister Garnier, the man who had eight years to implement a new payroll system – something many corporations and educational institutions do with nary a hitch in a fraction of the time, recently claimed the problem is not with the new system, but with the old one. In his attempt to deflect criticism from himself, has Garnier failed to understand that as education minister for eight years, he would be equally responsible for problems with the old system? One might also question the timing of this “migration” of data from one computer system to another. Like the insulting salary increase for public employees announced by the Chinchilla administration in February – after the first round of the elections had passed and the PLN had secured a plurality of legislators in the Legislative Assembly – the timing of this decision seems suspiciously advantageous to PLN. Likewise, according to a Semanario Universidad story published on April 23, 2014, Karla Blanco, Intel’s director of corporate relations, claimed the Chinchilla administration had known months before the election that Intel was planning to leave Costa Rica, but when rumors about the plan began to emerge prior to the April 6 runoff, the Chinchilla administration remained quiet. One wonders if in both cases election-year politics trumped government transparency and the free flow of information to the citizenry? Is the current teachers strike a result of the same cynical political manipulation? Until more information emerges, one must judge for oneself, but if the new computer system had been brought online in October or November, and educators had been forced to wait through the holidays for their earned salary, imagine how that might have further affected an already historically bad electoral outcome for the PLN. On the other hand, had PLN managed to win the presidency and Congress, the teacher’s strike would be just another in a long line of strikes and protests against PLN administrations, and they would have had four more years to try to make voters forget. In either scenario, it seems impossible to imagine that the looming election played no part in the decision to implement a new payroll computer system only after the 2014 elections were concluded. Further, according to a second Semanario Universidad story published on Wednesday, MEP officials apparently knew in March of this year that the new system would leave many teachers without pay. Their decision to implement it in their final days seems perfectly planned to leave the blowback to the next administration. Worries about further potential problems with Integra2 is what motivated Citizen Action party lawmaker Marco Vinicio Redondo to compare the new computer system to a Trojan Horse, with more intentionally hidden problems lurking within, during his questioning of current Education Minister Sonia Marta Mora during a May 19 visit to the legislature. 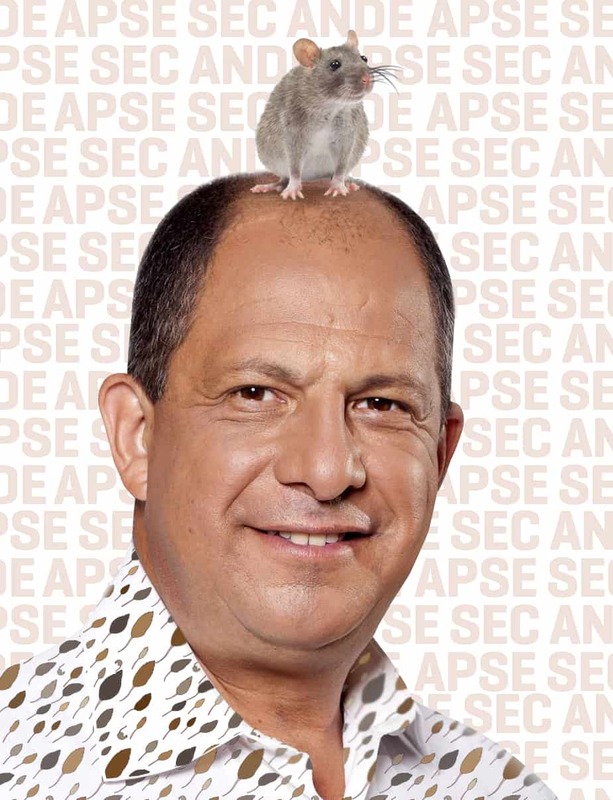 The High School Teachers Association (APSE), the Costa Rican Educators Union (SEC) and the National Association of Educators (ANDE), the unions representing the teachers, could hardly have had a more sympathetic reception from President Luis Guillermo Solís, a former educator and the son of a schoolteacher. Since entering office on May 8, he has been dedicated to finding a solution and has made many proposals to expedite payment for the affected teachers, most recently working with the Costa Rican Banking Association to arrive at a solution for the remaining teachers awaiting their salaries. Meanwhile, the unions have remained stubbornly unmoved by the new president’s efforts, demonstrating little trust that Solís has their backs and ignoring his repeated calls for them to return to work. As this strike threatens to enter a fourth week, it looks more like the unions are playing a dangerous game of “chicken” as they wait for every affected professor to receive 100 percent of what they are owed before they will return to school. Rather than demonstrate a good faith trust that Solís is in fact resolving the mess that he has inherited, the unions have refused to accept victory and will remain on strike until every cent is paid. Given that the issue they wished resolved has in fact been resolved, the unions risk losing the support of the public every day the strike continues. On Friday, Citizen Action Party lawmaker Ottón Solis suggested that the governments decision to move forward the teachers payments by two days will cost ₡33.3 million ($43,300), a sum that one might think would buy the Solis adminsitration a bit of good faith from the unions. As the public comes to realize that President Solís has done more to resolve this issue than could ever have been expected from previous administrations, and as this same public is forced to bear some of the burden of the teachers’ strike as families scramble to make childcare arrangements for their out-of-school children, the current support for striking workers may well turn into accusations about lazy teachers and manipulative and abusive unions. If this occurs, the teacher unions will have turned an example of the power, necessity, and justice of unions into yet another public relations “black eye” for unions everywhere. One solution might well be for those teachers affected to remain on strike until their payments have been received, while the more than 95 percent of unaffected teachers return to work. When those remaining teachers receive their pay, they too can return to work without penalty for missed days. Clearly unions want to promote worker solidarity, but if the problem is not resolved exactly as the Solís government has suggested, nothing is stopping the unions from calling another strike. In the meantime, the teachers’ unions might better serve their own interests, the interests of their members, and the all but forgotten interests of Costa Rica’s children by accepting victory and returning to the classrooms. It is hard to find fault with Solís’ handling of this strike. He has not declared the strike illegal. He has been respectful, patient and sympathetic with the striking teachers, and he has proposed several solutions, the latest of which would provide a guarantee that affected teachers get exactly what they have demanded and deserve. It was not a strike Solís provoked, rather another annoying hangover of the inefficiencies of the former administration. But if no solution is soon forthcoming, it will become his strike, something one might imagine was the intention by those who created the mess in the first place. A president generally has a honeymoon period in which to begin to make changes and set his government’s agenda. Presidential scholars often suggest 100 days or three months as the time in which a president can do what he wants without too much interference from critics and opposition forces. As each valuable day passes, Costa Ricans are losing a chance for President Solís to implement the change he was overwhelmingly elected to bring. The story of an entrenched set of bureaucratic actors unwilling to do their job, but quick to point the finger of blame at others, also sadly became one half of the bookends of apparent impotence associated with Carter’s presidency. The other bookend was Carter’s inability to negotiate the freedom of U.S. hostages from Iranian religious extremists who had stormed the U.S. Embassy. The danger as this strike continues is that despite the real causes behind it, the unknown agenda of the striking union leaders, the suspicious timing of MEP’s implementation of a faulty system, the possible element of electioneering to secure PLN legislative victories, and the rampant finger pointing of an entrenched bureaucracy, this will become the Solís administration’s strike. If it continues much longer, or escalates to a general strike, it will become associated with his presidency like a dead, smelly mouse in the wall. Gary L. Lehring is a professor of government at Smith College, Northampton, Massachusetts. He is on sabbatical in Costa Rica.